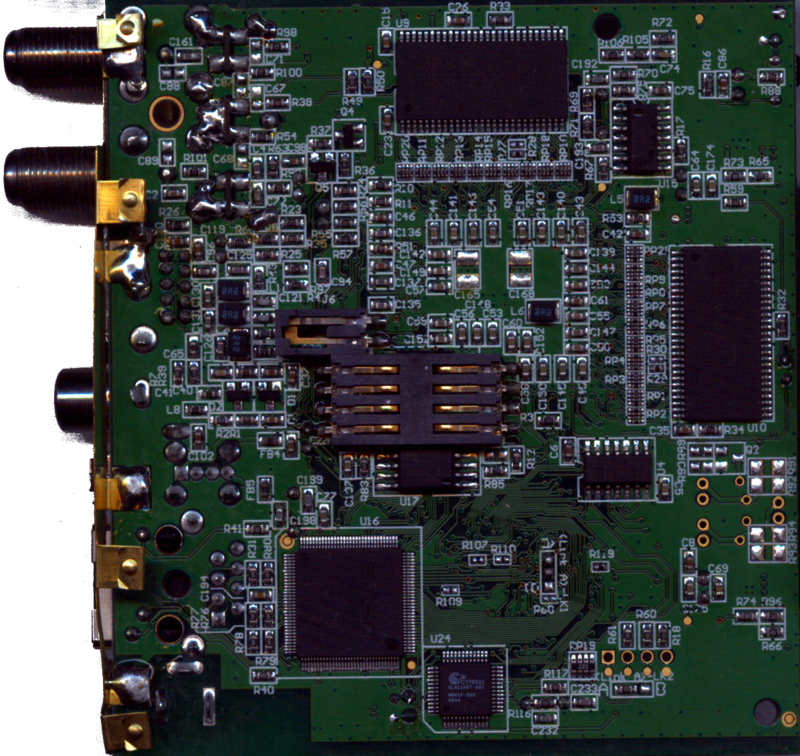 These pictures were scanned from my Amino Aminet 110 PCB. 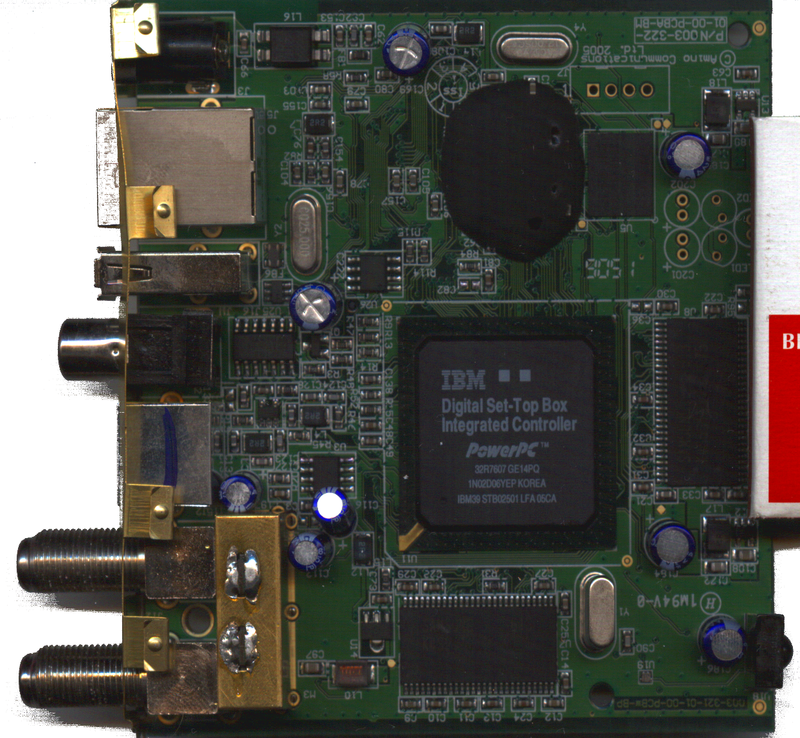 Processor: IBM STB02501 252 Mhz SOC with Powerpc core. RAM: four 32 MByte K4S561632E chips gives 128 MB integrated RAM. There is an IC lying under the smart card connector pins. Possibly I will desolder it, to find out it's name. There is a BGA IC near the flash what is melted with glue. This could be possibly something like a Macrovision decoder IC. I guess this is melted with glue because the manufacturer wanted to make reverese engineering harder. The J7 (4 pin unpopulated connector) is a serial port. Buildroot error - fakeroot: preload library not found, aborting.